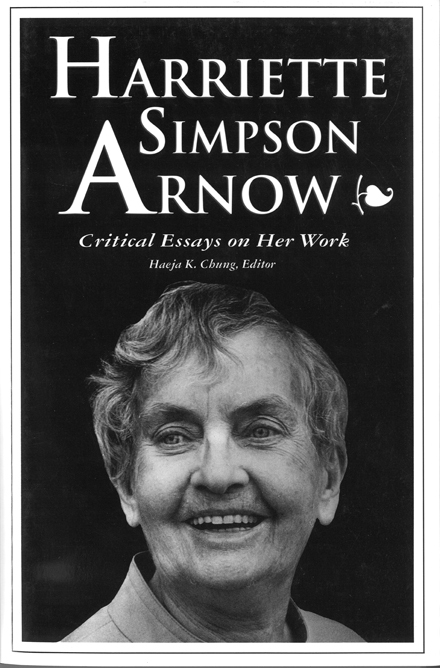 At her death in 1986, Harriette Simpson Arnow left a modest collection of published work: ten short stories, five novels, two non-fiction books, a short autobiography, and nineteen essays and book reviews. Although the sum is small, her writing has been examined from regionalist, Marxist, feminist, and other critical perspectives. The 1970s saw the first serious attempts to revive interest in Arnow. In 1971, Tillie Olsen identified her as a writer whose "books of great worth suffer the death of being unknown, or at best, a peculiar eclipsing." Joyse Carol Oates wrote in The New York Times Book Review that Arnow's The Dollmaker is "our most unpretentious American masterpiece." In the 1990s, it is appropriate to take stock of her earlier work and to prompt reexamination of this powerful yet poorly understood writer. This collection of critical essays examines traditional as well as new interpretations of Arnow and her work. It also suggests future directions for Arnow scholarship and includes studies of all of Arnow's writing, fiction and non-fiction, published and unpublished. Haeja K.Chung is Visiting Assistant Professor, Department of Writing, Rhetoric, and American Cultures at Michigan State University.